Dense fast-growing evergreen for cool climates. Thick glossy dark green leaves, small white flowers in 10cm spikes, followed by black berries. Shade tolerant. 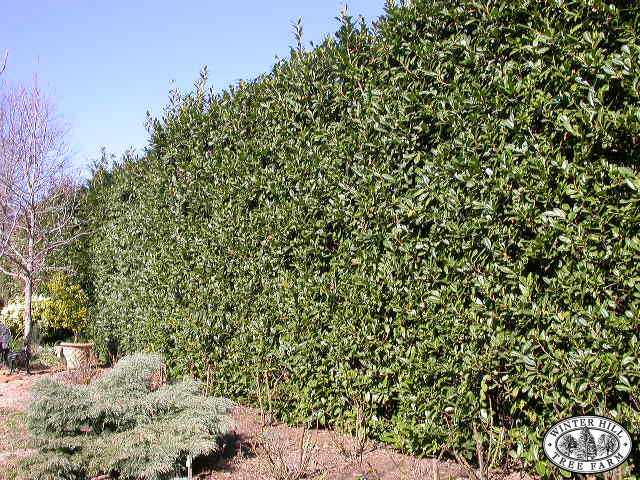 Excellent dense hedge. Prefers well-drained moist soil.